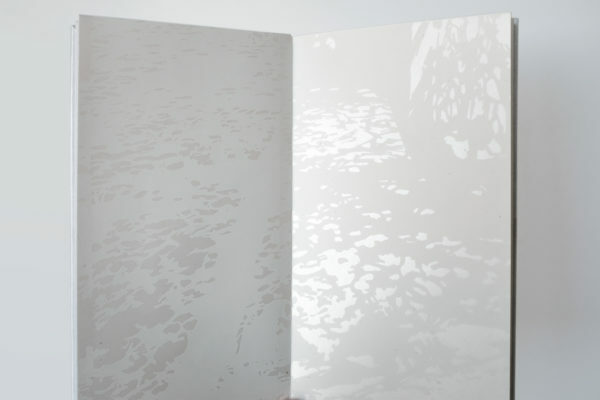 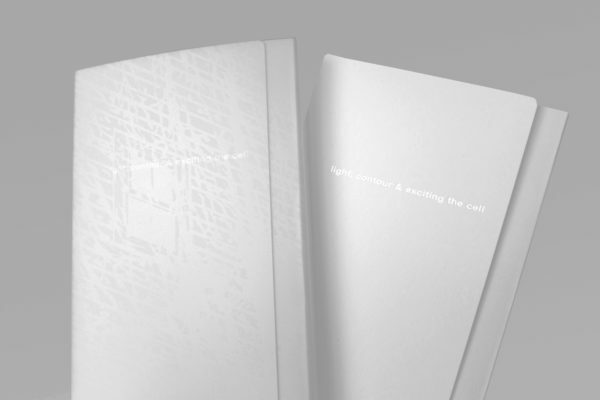 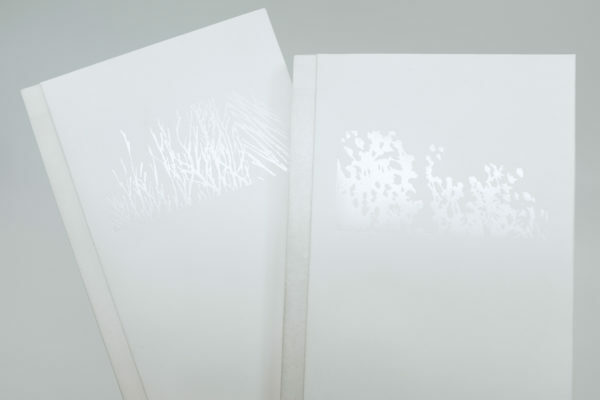 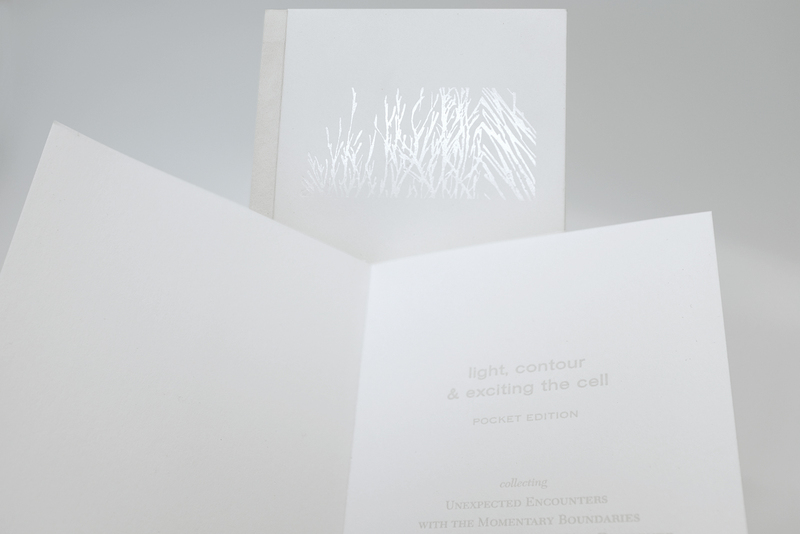 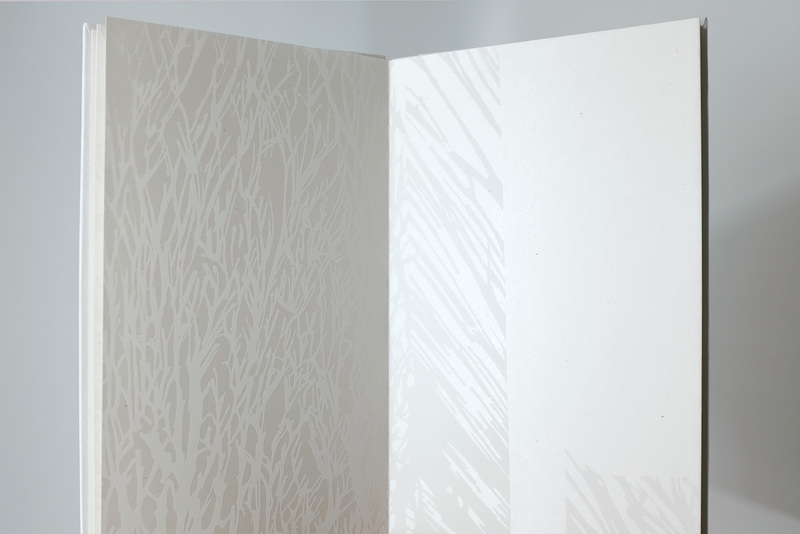 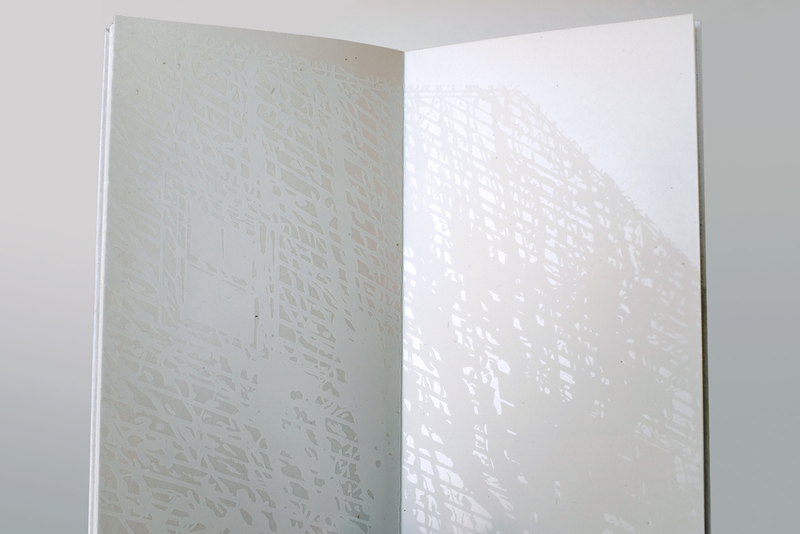 This artist book emerged from the larger wall pieces as a way to activate in a viewer’s hands the light and shadow flipping of the matte ink and reflective paper (as opposed to walking around the works). 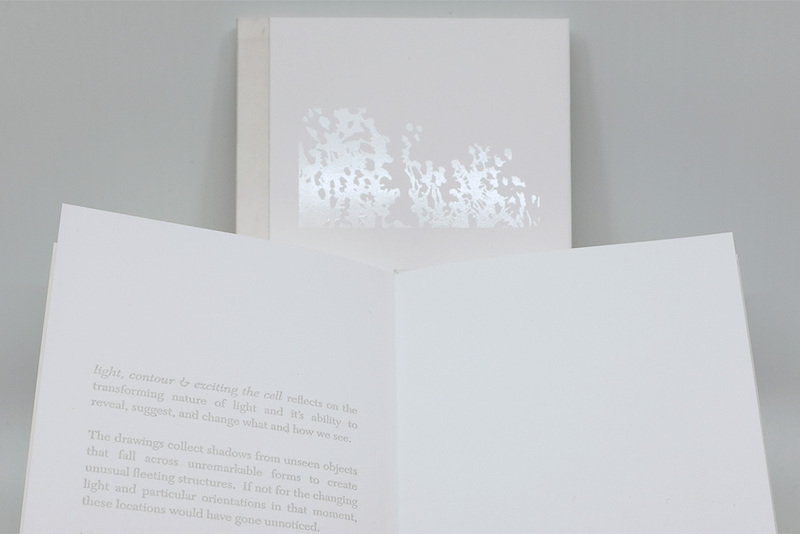 The book’s dimension is a nod to vintage pocket atlases, to contribute to the genre my own documentation of space and location, made solely due to changing light and a subjective view. Each book is a unique and varied collection of ‘definitive’ observations of temporary structures, made from the shifting shadows of unnoticed objects.